Al Bustan Palace, a Ritz-Carlton Hotel here in Muscat has recently gone through a major refurb and we couldn't wait to get inside to see what's been done. 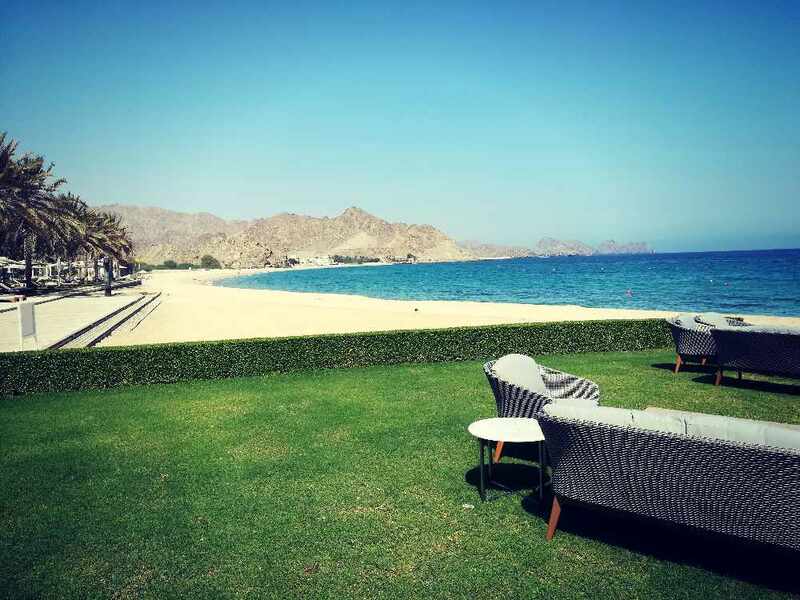 Al Bustan Palace is set in a perfect location with the stunning Al Hajar Mountains on one side of the resort and the beach and the beautiful blue sea on the other; it's the perfect staycation place for those of us living here or a stunning place to stay when visiting Oman. 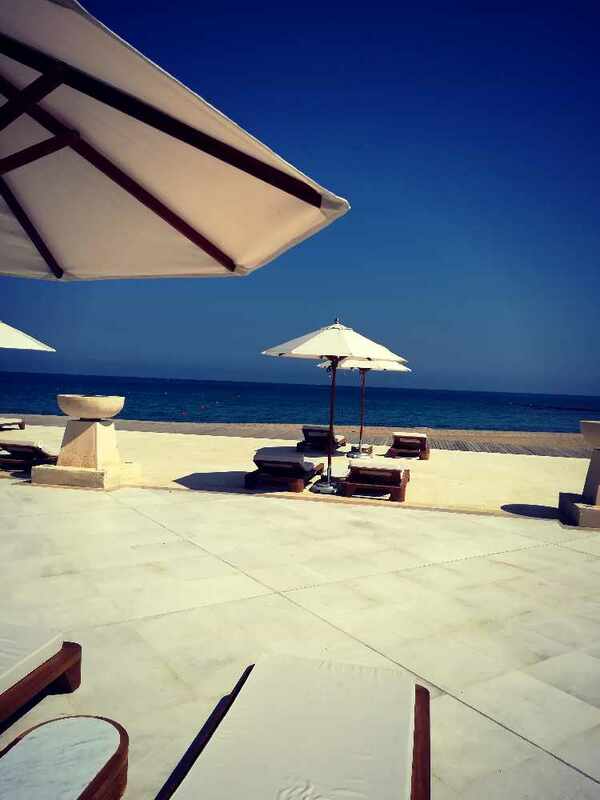 Oh, we should also mention that the Al Bustan Palace is also doing day passes so that you can enjoy the stunning resort. However, it is worthwhile calling ahead to book as it will be pretty busy now that the weather is cooling down! The resort first opened its doors back in 1985 and the recent refurbishment has polished this already beautiful hotel into something even more sparkling and fabulous. 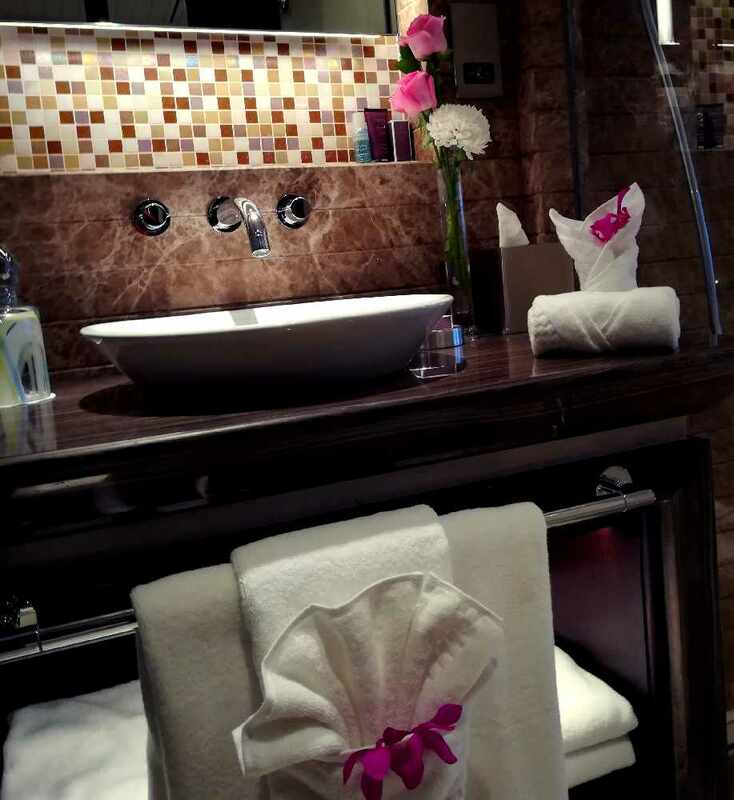 The 'Junior Suite' rooms are modern and inviting. 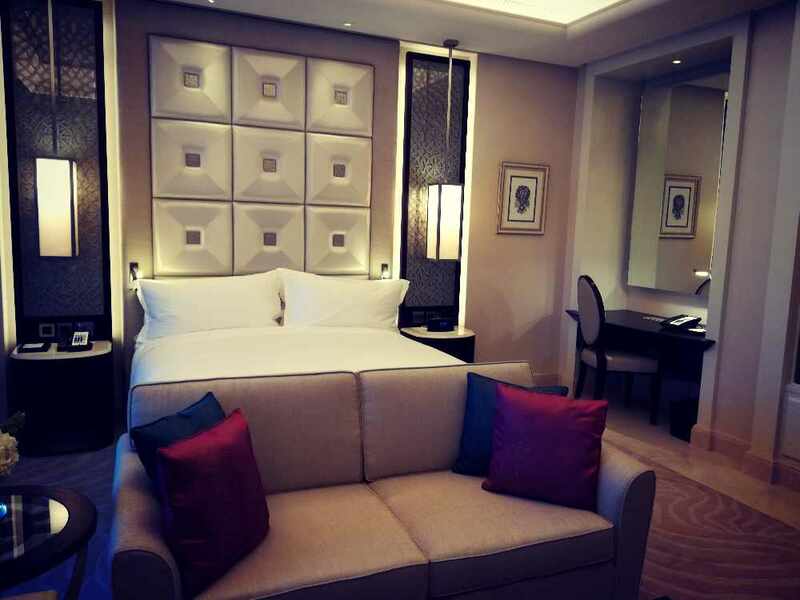 Every effort had been made to make these rooms pristine and the design and presentation standard is exactly what you would expect from a Ritz-Carlton Hotel. The rooms have a very elegant, Omani feel to them. 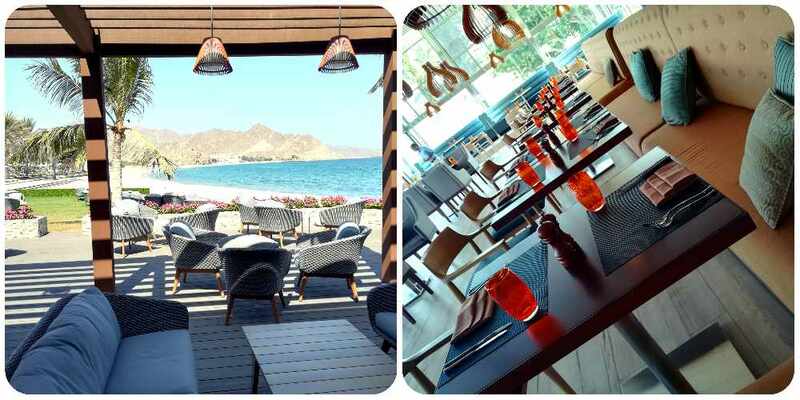 The Al Bustan has several restaurants, we particularly loved the new Beach Pavilion Bar & Grill - it looked like the perfect place to chill and enjoy fresh local seafood. The other restaurants: Al Khiran Kitchen, China Mood, BLU Bar, and the Atrium Tea Lounge if you're looking for an incredible afternoon tea experience. 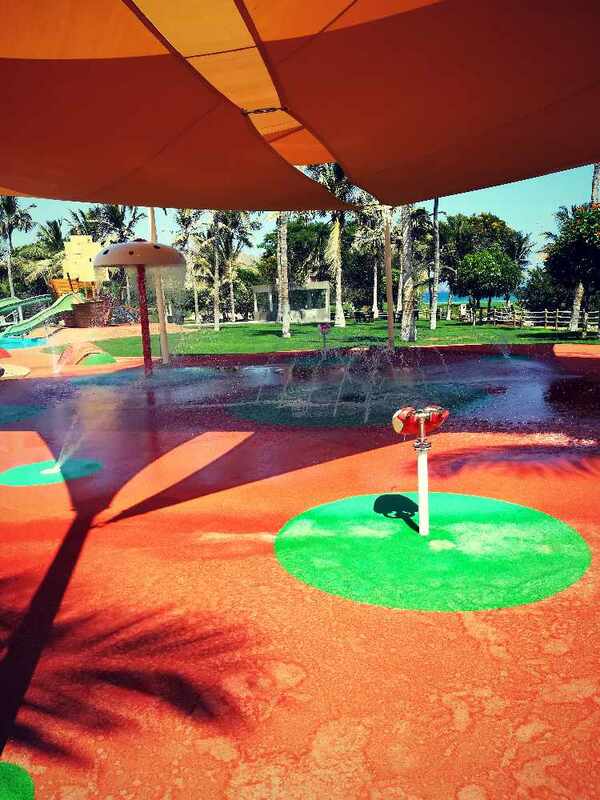 The new children's area 'Ritz Kids Club' is a must for families with little ones. There's a shallow pool with slides and the playground is equipped with water features, a zip line, and a soft outdoor games area. 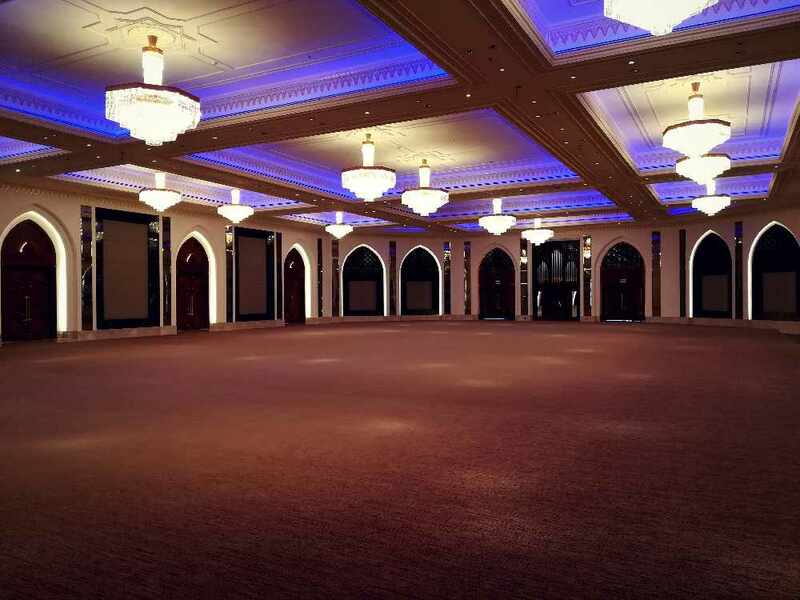 The Majan Ballroom is spectacular and we can totally see this being popular for large social events and weddings. 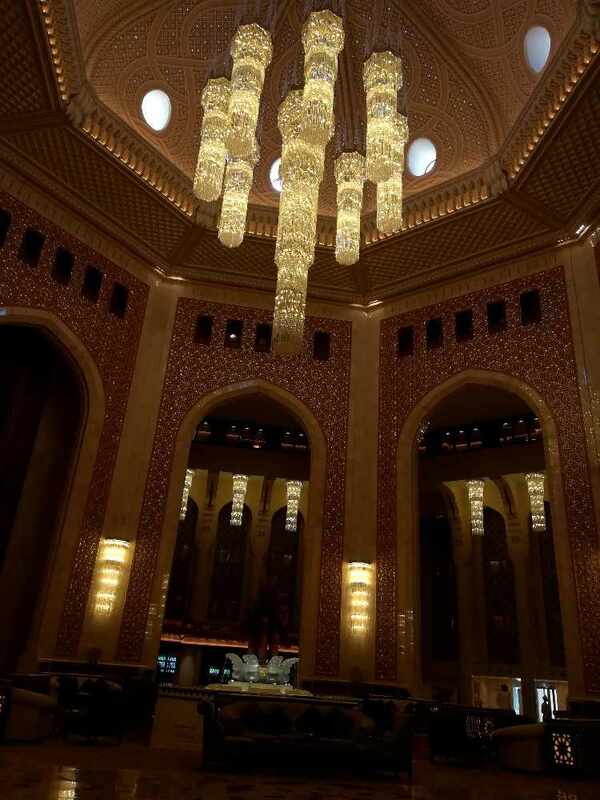 The real 'WOW' moment for us though was the Al Bustan Palace Lobby. The iconic grand dome is 38 meters from the Atrium Lobby, that's 3 meters taller than the Taj Mahal marble dome and is structurally strong enough to hold the 5.5 tons crystal chandelier centerpiece. 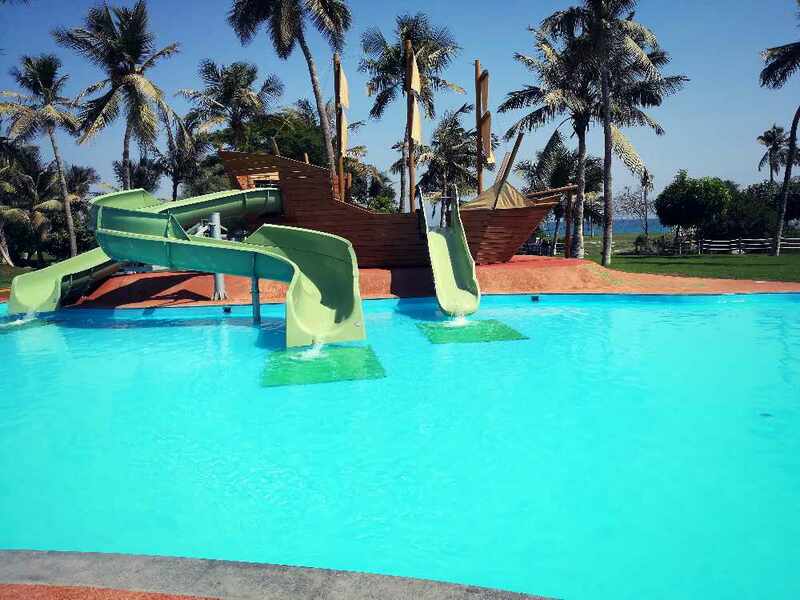 We can't wait to grab a day pass and head on down to the Al Bustan on a weekend, can you?